Spray drying is a continuous process that forms a free-flowing, dry powder from a feed solution or solids suspension. An atomizer (rotary, pressure nozzle or two fluid nozzle) sprays feed into a heated air (or other gas) stream inside a closed chamber. The high surface area of the droplets allows for rapid heat and mass transfer which instantly evaporates the water (or other solvent), and forms a powder. The product is separated from the air stream via cyclones, dust collectors, or wet scrubbers. 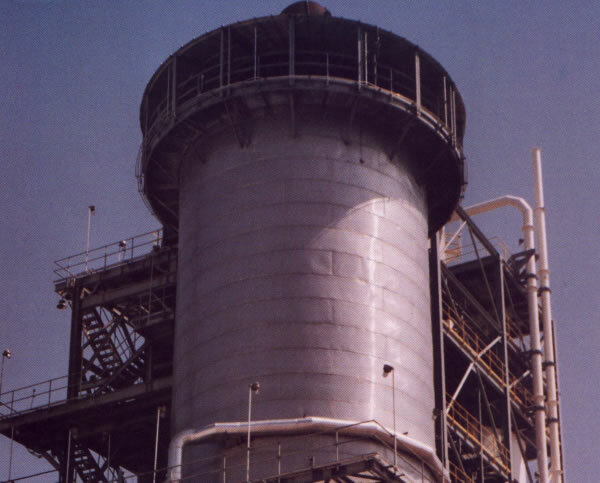 Absorbers or condensers can be added when drying produces chemical vapors, such as ammonia or organic compounds. Feeds include ceramics, pigments, clays, catalysts, foods, and chemicals. Sizes and configuration of dryer to suit all applications. Precise control of product moisture between 0.1%-25%, by varying air temperature. Precise control of product particle size between 10-600 micron, by varying the type and level of atomization. Air heaters capable of natural gas, propane, diesel or other oils. 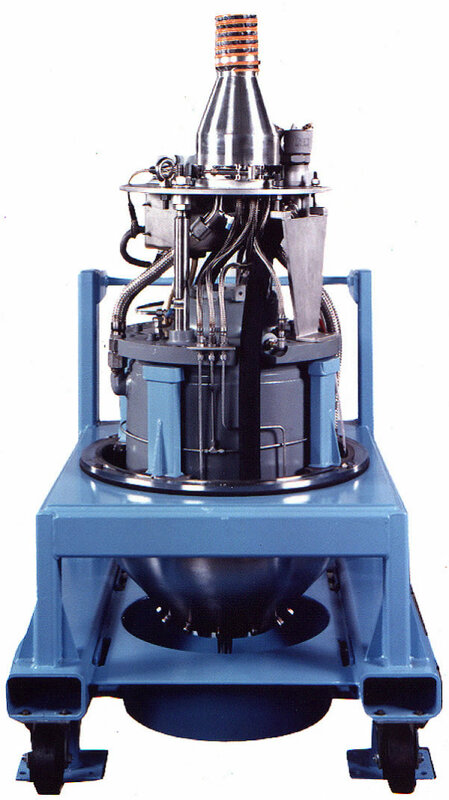 Capacities to 100,000 pounds per hour (slurry). Atomization generates a spray of fine droplets providing a large surface area for heat exchange (evaporation). Operating at speeds of 9000-12,000 rpm, has in the past required a gear train of rugged precision that comes at a considerable capital and maintenance burden. Komline Sanderson has devised a VFD-controlled, straight-through drive at a very affordable cost and with warranted performance in excess of 8,000 hours. Production rates to 100,000 pounds slurry per hour ( 235 hp drive). Precise droplet size control via the variable frequency drive. A minimum of rotating parts. Proven maintenance costs: <15% that of gear-driven atomizers. Rugged, compact design provides operation well below critical speed, therefore minimum risk of excessive vibration. One and two tier nozzle atomizer wheels. Wheels of titanium with silicon carbide or tungsten carbide inserts. Lubrication system and control console included. Two models available: 75 hp (to 16,000 rpm with the 7.75 inch wheel) and 235 hp (to 12,000 rpm with the 10-inch wheel).